Senegal should adopt national legislation restricting police use of force and firearms in compliance with international law. Every individual has the right to life, to liberty, to security, to the free development of his personality, to corporeal integrity, notably to protection against all physical mutilations. Article 8 guarantees the right to freedom of assembly "within the conditions provided for by the law". The Constitution does not regulate the use of force by law enforcement agencies. Law enforcement in Senegal is primarily the responsibility of the National Police Force (Sûreté National) and the Gendarmerie. According to the Government of Senegal, it is "prohibited for the security forces, in the performance of their law-enforcement tasks, to use force except when it is necessary and in moderation, in accordance with operational requirements". The legal basis for this is unclear. There is no independent police oversight body in Senegal. The Office of the Ombudsman (Médiature de la République du Sénégal) can hear complaints about unlawful police use of force. consistent reports of the use of excessive and disproportionate force by the security forces, including the use of live ammunition and tear gas, to repress political rallies and demonstrations. 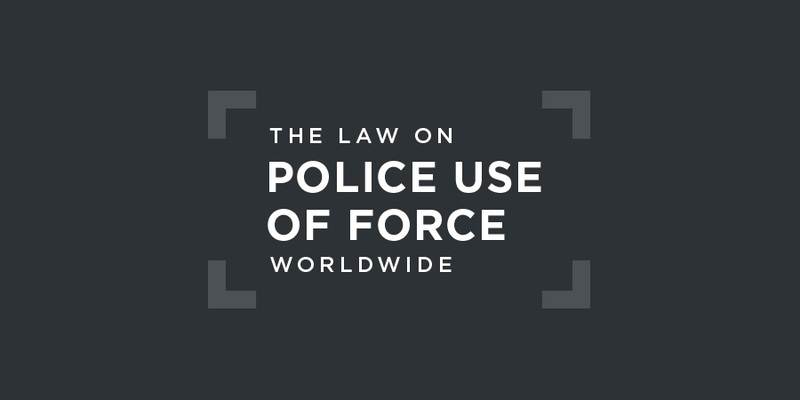 Increase its efforts to systematically provide training to all law enforcement officials on the use of force, especially in the context of controlling demonstrations, taking due account of the Basic Principles on the Use of Firearms by Law Enforcement Officials. the persistent and serious human rights violations which are tarnishing the electoral campaign, and the use of force against peaceful demonstrators.